Chinese hackers infiltrated the databases of three Israeli defense contractors and stole plans for Israel's Iron Dome missile defense system, according to an investigation by a Maryland-based cyber security firm ‘Cyber Engineering Services Inc. (CyberESI)’. Not just this, the hackers were also able to nab plans regarding other missile interceptors, including Unmanned Aerial Vehicles, ballistic rockets and the Arrow III missile interceptor which was designed by Boeing and other U.S.-based companies. The intrusions were thought to be executed by Beijing's infamous “Comment Crew” hacking group – a group of cyber warriors linked to the Chinese People’s Liberation Army (PLA) – into the corporate networks of top Israeli defense technology companies, including Elisra Group, Israel Aerospace Industries, and Rafael Advanced Defense Systems, between 10 October 2011 and 13 August 2012. The three Israeli defense technology companies were responsible for the development of the “Iron Dome” missile shield. The attackers targeted the three companies through email phishing attacks. Once the companies' security systems had been breached, they exfiltrated all types of documents, from the emails sent by a CEO to the PowerPoint presentations containing all the necessary information about Iron Dome and other sophisticated ballistic projects. The Beijing-sponsored hacking group came into light earlier this year when the United States Justice Department in May charged five of its alleged members with with various hacking and espionage offenses. The group allegedly infiltrated United States systems involved in the nuclear power, metals and solar products industries, in order to “steal information that would provide an economic advantage” for Chinese companies. This serious allegations on the chinese group were detailed by Brian on its blog. CyberESI is not yet prepared to release the report publicly. Although it is not exactly known that how much data the group was able to obtain, Cyber ESI identified more than 700 documents that were stolen from Israel Aerospace Industries (IAI) only, amounting to 763 Mbs including Word documents and spreadsheets, PDFs, emails, and executable binaries, Krebs reported. The actual number is believed to be much higher. Comment Crew hacking group maintained hooks inside IAI for four months during the 2012 raid. It stole administrator credentials, planted trojans and keyloggers, and dumped Active Directory data from at least two domains. 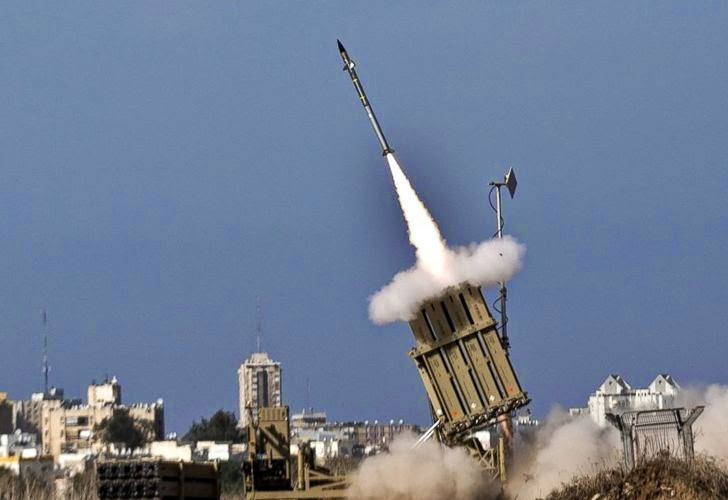 Iron Dome is the most-effective and most-tested missile shield which is designed to intercept and destroy short-range rockets and artillery shells fired from distances of 4 kilometres to 70 kilometres away. Subsidised by the US, the anti-missile programme Iron Dome cost a total of US$1 billion, and has been largely used during the ongoing conflict that has seen militants in Gaza firing some 2,500 rockets at Israel that would have landed in populated areas, hailing Iron Dome as world's most effective missile shield.